If you find yourself with a bad case of 'cabin fever', it might not be a bad idea to go out and experience the open road. While planes are a nice and fast way to see the world, they often leave out Ralph Waldo Emerson's old adage, “Life is a journey, not a destination.” The wind in your face, the open scenery stretched out before you, and a nearly unlimited list of places to go and things to experience – sometimes going by automobile is the best cure for wanderlust. Here are some places that prove to be not only amazing destinations, but also beautiful drives along the way! Yosemite National Park: The place that first inspired the idea for National Parks in our country thanks to John Muir. Located in the heart of California, the ride entails beautiful sights of the valley, surrounding forests, and rolling hills. In the warmer months one can practically visit the majority of Yosemite's grand monuments by car including Glacier Point, Inspiration Point, Bridalveil Fall, and El Capitan. While driving is nice, it is also a great idea to step out of the car and do some hiking around Yosemite Falls or the Giant Sequoia Grove! Monterrey Bay Aquarium: While going by car might not seem the best way to view some of the Pacific Ocean's most fascinating wildlife, getting to this world famous aquarium provides a breathtaking view of the California Coastline. Arguably the most impressive place to drive, Highway 1 snakes its way up and down the very edge of California, giving drivers spectacular vistas of the Pacific from its steep cliffs and turns. The aquarium is build on the Monteray Bay, featuring local wildlife from jellyfish to sea birds, and the mammoth 90-foot window Open Sea exhibit. Lake Tahoe: If it's already winter, then you might as well enjoy all that winter has to offer including skiing, snowboarding, sledding, and more! If snow adventure is your calling, then Lake Tahoe can be no better. Surrounded by a huge number of slopes and ski lodges, this destination is a picturesque place to slalom and mogul your way down the mountains. Make sure to have chains ready or snow tires equipped for the frigid trip into the peaks of his high elevation basin. It's truly a winter wonderland as you will be met with snow-frosted trees and shimmering lakes of ice. 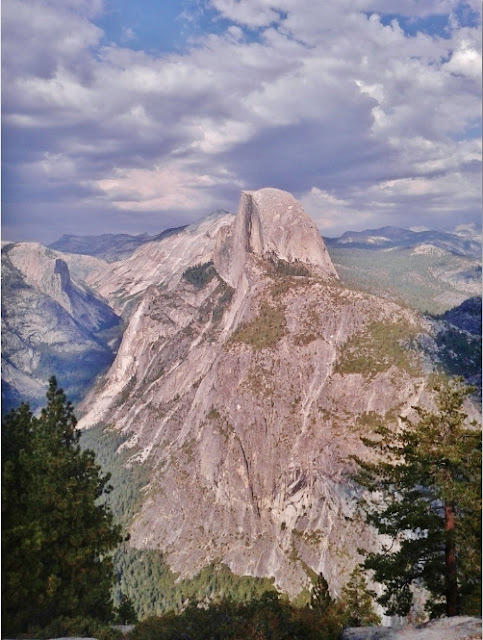 *Here's a little factoid: The photo above was actually taken by one of our employees during her trip last summer to Yosemite!